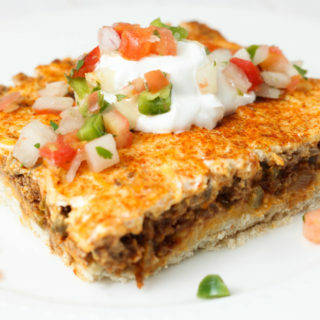 Are you looking for a low-carb appetizer for the holidays? 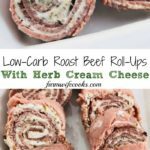 These Low-Carb Roast Beef Roll-Ups are an easy, make-ahead appetizer that will disappear before your eyes! I use to work at a bakery and cafe and we always served the roast beef sandwiches with an herb cream cheese spread, the flavors pair so well together. So, I decided to make it in a roll up and the results are fantastic! 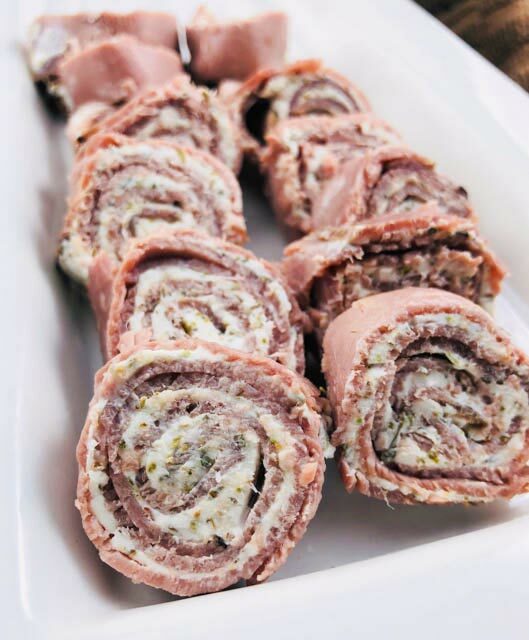 Roll ups are great for on the go and make the best appetizers. 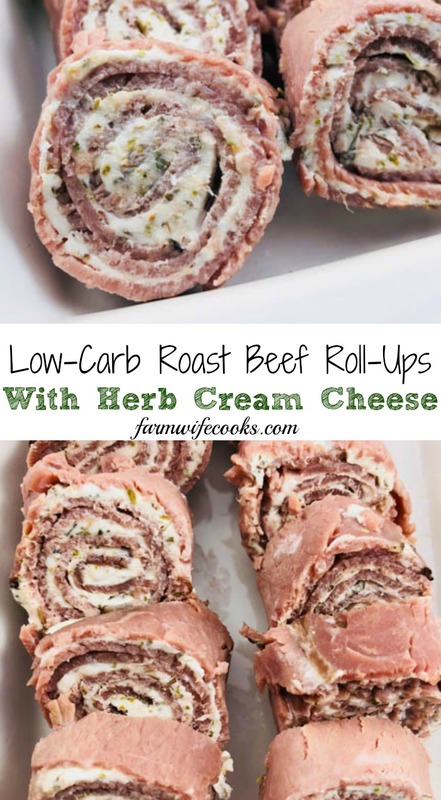 I also have made these using tortillas for the carb lovers, Roast Beef Roll Ups with Herb and Garlic Cream Cheese. 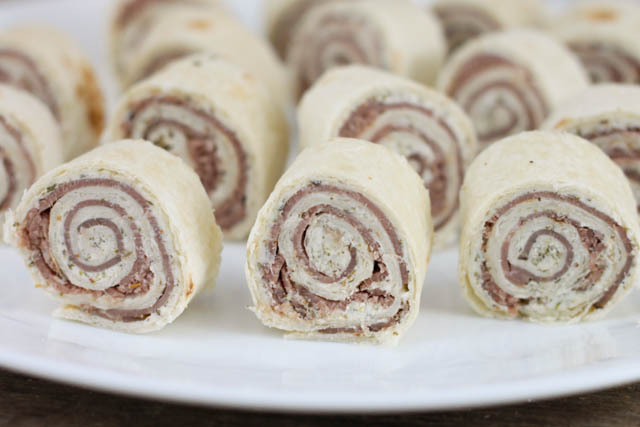 I like to find the roast beef slices that are long ovals for this recipe as they are the easiest to use for this type of roll-up. I also start with the least perfect end, so if there are any tears they will be rolled inside making them easier to pick up. You could also use a toothpick inserted through the whole roll up to keep them together. Make sure you chill the roll ups before serving, this will also make them easier to slice. Keep refrigerated until ready to serve. 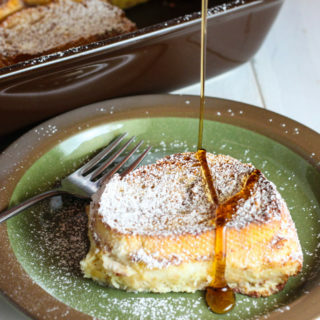 I like to serve them on a long rectangular plate or platter in multiple rows. 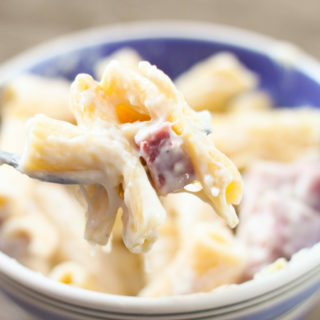 Mix the cream cheese with the Italian seasoning and garlic powder until blended. Spread about 1 Tablespoon of the cream cheese mixture over 1 slice of roast beef. 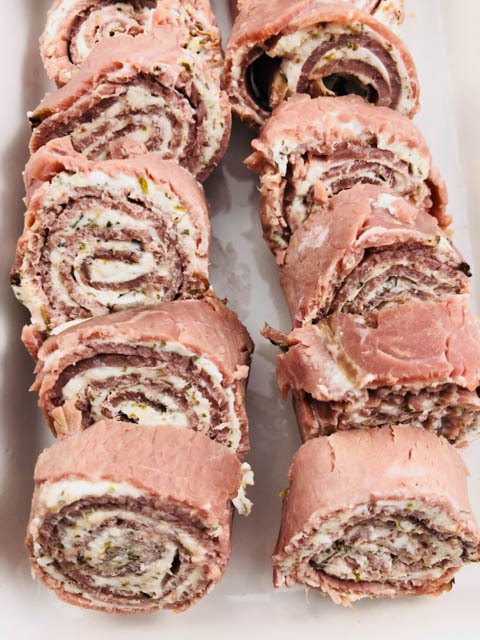 Place the roll-ups on a plate with seams down and refrigerate for at least 30 minutes before slicing.